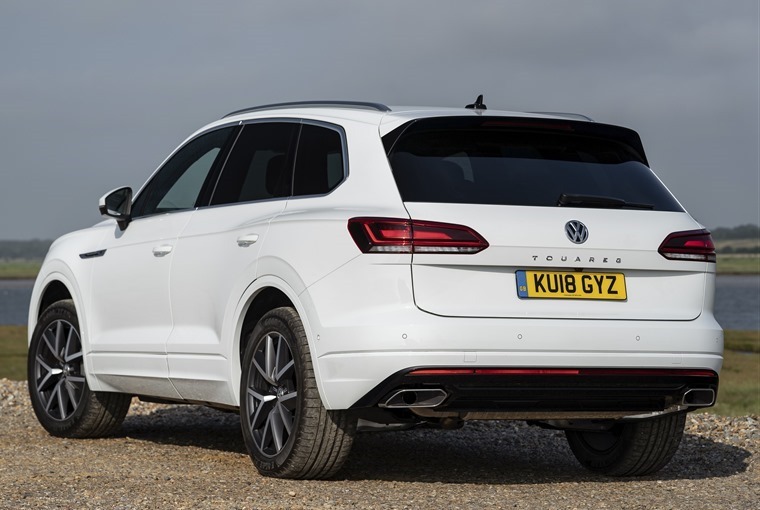 Over recent years, you could be forgiven for thinking that the Volkswagen Touareg had become the forgotten member of the VW range. Overshadowed by the Tiguan, all but replaced for practical purposes by the Tiguan Allspace, this next-gen model is a vehicle with a lot to prove. 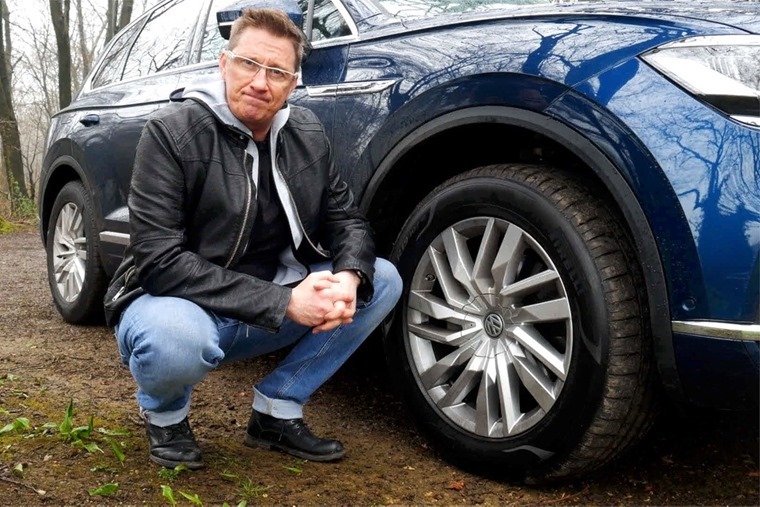 So, how did resident road tester Howard Ritchie get on with one? You can watch his full video review by clicking below to find out his thoughts, or read on for the written review. Redesigned with new technology, road-focused styling and a revamped interior, the all-new Volkswagen Touareg aims to head the brand’s product line-up as a paragon of technology, fine design, comfort and driving excellence. Built on the Volkswagen Group’s MLBevo platform shared among the Audi Q7 and Bentley Bentayga, it has access to a lot of the same tech as its more upmarket cousins meaning air suspension and active anti-roll bars are available. 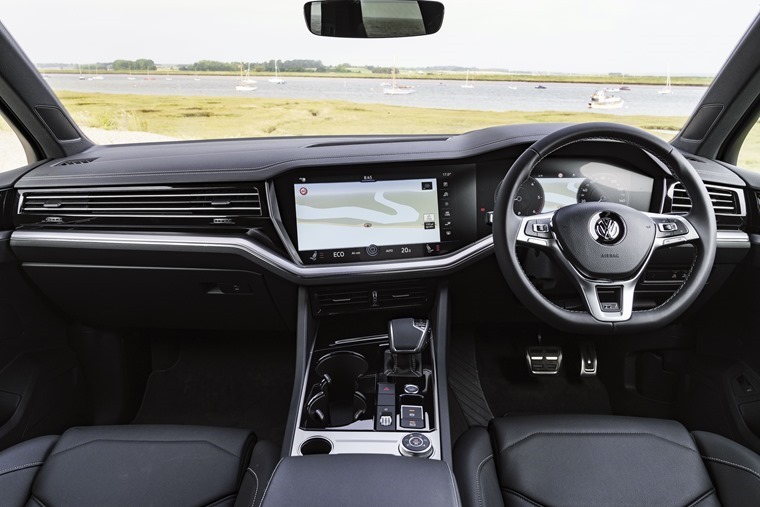 On top of that, and for the first time ever, four-wheel steering is available on a VW model meaning the Touareg effectively has the manoeuvrability of a Golf, with the rear wheels turning in the opposite angle to the front ones. With a new platform comes a new look too. At 77mm longer, 44mm wider and 7mm lower than its predecessor all combined with a rakish roofline, LED headlight and an Arteon-esque front grille, it shows an SUV that appears more athletic than previous generations. Despite those numbers, it’s a vehicle which has dropped a little weight too, at over 100kg lighter. It’s on the inside where the Touareg really impresses though, thanks to VW’s Innovision cockpit. 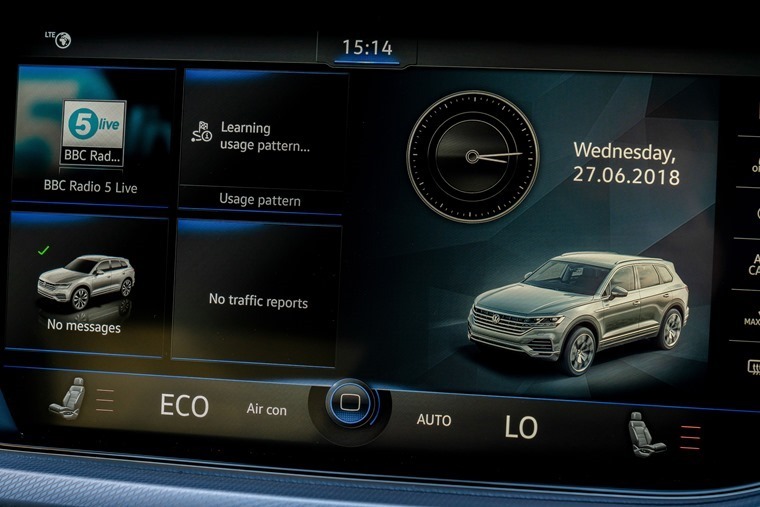 Instead of traditional analogue instruments it features a 12in screen with an interactive interface in which the information and settings of all essential comfort, assist and infotainment systems converge. This works in tandem with the 15in infotainment screen which is angled towards the driver, featuring a neat smartphone-esque layout and Google Earth mapping for the navigation system. This all combines to provide something more upmarket than even the more luxury competitors out there offer. The R-Line Tech model we tested offered a 3.0-litre V6 TDI with 282bhp. It’s an ideal engine for Volkswagen’s flagship SUV proving to be equally smooth as it is strong. With 600Nm of torque on offer via the eight-speed tiptronic gearbox it’s an SUV built to pull and can now tow up to 3.5 tonnes and park itself while hauling a trailer. Job done! On the road then, the Touareg can be a bit sluggish from start which is to be expected for a car with this heft. It’s a vehicle for cruising in and talking it easy, with steering both precise and weighty and ride comfort as good as it gets thanks in part to the adaptive air suspension. 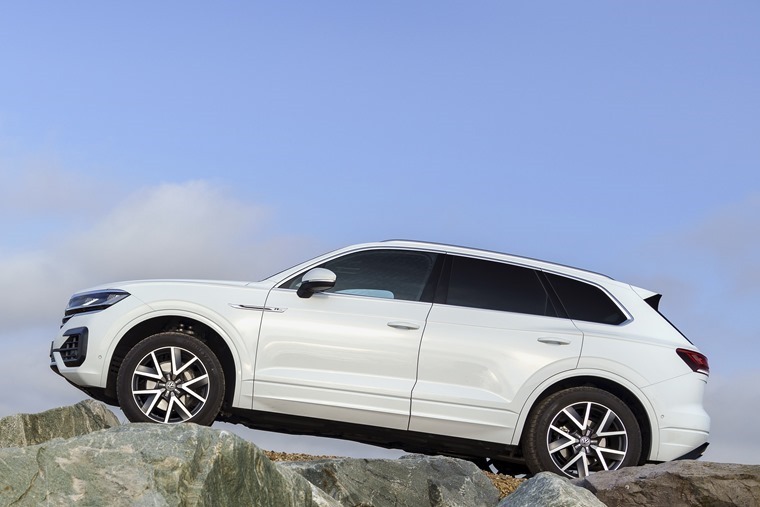 If the terrain gets a bit too much for you, a variety of road driving modes are available including Eco, Comfort, Normal, Sport and Individual, while off-roading modes include Snow, Off-road Auto, Sand, Gravel and Off-road expert. It’s safe to say the Touareg covers all the bases regarding how the vehicle will be put to task by a variety of lessees. The boot is a cavernous with 1642 litres offered with the rear-seats down. That the rear seats don’t fold flat seemed strange, as did the lack of a seven-seat option. For a car this big you would expect both to be a given but what the Touareg doesn’t offer works for front and rear passengers, with loads of head and legroom available for supreme comfort. Ultimately the Touareg is a stylish, safe, spacious and tech-filled family SUV that’s worthy of consideration, earning its place back at the top as Volkswagen’s flagship SUV.